Noah Baumbach's Frances Ha is a stylish, loving, impossibly cute tribute to a twentysomething Bridget Jones in the title character. Greta Gerwig (who co-wrote the screenplay with Baumbach) plays Frances Halladay, a down on her luck post college girl who lives on her own in New York, struggling to make it as a modern dancer while scraping together enough money to pay the rent and dabble in dating, hitting disasters at every turn, but with a goofy, weird, lovable quirkiness that endears us to her no matter how many cringeworthy mistakes she makes. It's everything Lena Dunham's HBO series Girls wishes it could do right. That comparison is pretty apt, actually, because the whole concept of college grads living in New York is directly comparable with Girls (Adam Driver's even in this movie! ), but the difference here is that Frances actually does struggle (she's not a rich girl living off inheritance), and she also resembles something of a human being, which is more than I can say for the unbearable Hannah on Lena Dunham's show. But let's not get dragged into my everlasting hatred of Girls (I'll save that for another day). Frances Ha is filmed by cinematographer Sam Levy in gorgeous black and white brush strokes and set to an ongoing soundtrack of sometimes classical music and 80's pop songs (the familiar jazz score from The 400 Blows even makes an appearance), which gives the whole film a neat retro feel, like a classic movie about a very modern heroine. The movie unfolds in episodic structure, wandering through Frances's life as we follow her job, her friends, and her stumbling and clumsy interactions with people whose lives are more together than hers. Greta Gerwig anchors the whole film with a wonderfully natural and vibrant performance as Frances, who isn't quite ready to grow up and wants to remain girlfriends trotting about the city with her college best friend Sophie (Mickey Sumner). But Sophie is ready to move on and appears to be passing Frances by, along with her other friends who all seem to be getting married or settling down. By contrast, Frances might be turning out a disappointment, but she never begins to wallow in that misery, instead facing the roadblocks as haplessly as she can, never quite realizing her embarrassment even though we might be cringing for her. 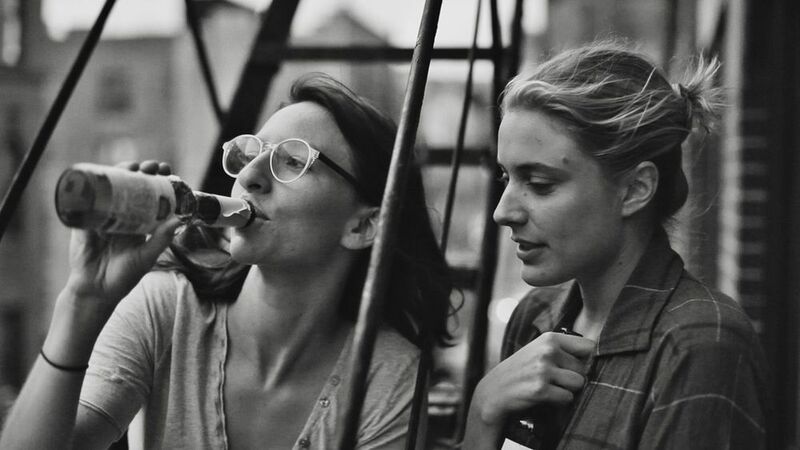 Frances Ha is a wonderful, minor comedy that speaks true to one specific life, the heroine of which tries valiantly hard to iron out the wrinkles that get tossed in her path, and somehow we get the feeling that she'll turn out all right in the end, despite the mishaps and misadventures along the way. It's a lovely little movie worth seeking out, most of all for Greta Gerwig, who deserves to be recognized for this (an Indie Spirit nomination, perhaps?) and who we'll hopefully be seeing again very soon. November 15, 2013 by Ariel Shavonne.